The statistics of hypertension in the United States is dreadful picture of something going on deep inside much of our population. Having high blood pressure puts you at risk for heart disease and stroke, which are leading causes of death in the United States. According to the CDC, these are statistics of people in the United States for adults over 20 years old. 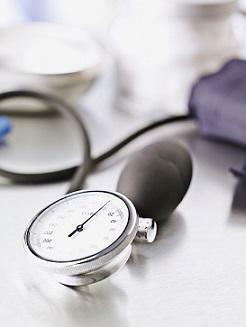 About 75 million American adults (32%) have high blood pressure—that’s 1 in every 3 adults. About 1 in 3 American adults has prehypertension—blood pressure numbers that are higher than normal—but not yet in the high blood pressure range. Only about half (54%) of people with high blood pressure have their condition under control. High blood pressure was a primary or contributing cause of death for more than 410,000 Americans in 2014—that’s more than 1,100 deaths each day. Just this month, Valsartan was recalled by the FDA, a week after 22 other countries recalled it because it poses a potential cancer risk. levels of the impurity may have been in the valsartan-containing products for as long as four years. really unfortunate because high blood pressure is actually quite simple to address naturally. The acidity of things high in sugar, such as soda, require the body to pull calcium and magnesium out of the body in order to balance the acidity. This causes a loss of essential minerals needed for healthy blood pressure.
. Most diets are sorely lacking 'foods' that contain and restore magnesium into the body. Diets rich in nuts, seaweed, avocados, black beans and dark chocolate :) help to give back to our bodies through nutrition.
. Most people have lifestyles that contribute to stress and consume refined sugars, caffine and alcohol which delplete magnesium levels. Many prescription meds (PPI's for instance) also deplete magnesium (3). Check out magnesium effects if you are on medications.
. Most people are using inferior forms of magnesium which results in not getting the benefits you are seeking. Cheap forms of magnesium like magnesium citrate and oxide are about 10% absorbable. While they are really inexpensive, they are a waste of your hard earned money. Magnesium Citrate (Natural Calm) used long term can lower your ceruloplasmin levels, which helps to regulate iron and copper in your body. You want healthy levels of ceruloplasmin to avoid unbound iron and/or copper issues. Some healthcare professionals claim this is the cause of most diseases and disorders in the body. support of consumers and the medical community. for anyone that suffers from hypertension.